Audio Engineering Schools: Are They legit or a waste of money? Blog Audio Engineering Schools: Are They A Waste of Money? Audio Engineering Schools: Are They A Waste of Money? Are audio engineering schools a waste of money? There are some GREAT audio engineering schools and programs out there, and there are some not so great from what I've heard. You have to remember, there are all different kinds of jobs in the audio world. Another reality is that you don't necessarily HAVE to get an audio degree or certificate from any audio engineering schools if you don't have the funds. Some of these schools are quite expensive and not a realistic option. Technology and the Internet have changed the game when it comes to online educational programs and information sites in the world of audio production. Some would argue that the only way to learn is that you need hands on experience with gear in a real studio. I would respectfully disagree. I have learned in real studios myself, but also a TON from online instructors. People all over youtube have GREAT tutorials on how to use analog and digital audio tools. Youtube is a game changer. I learned how to fix my truck and band van's ac system from youtube videos! 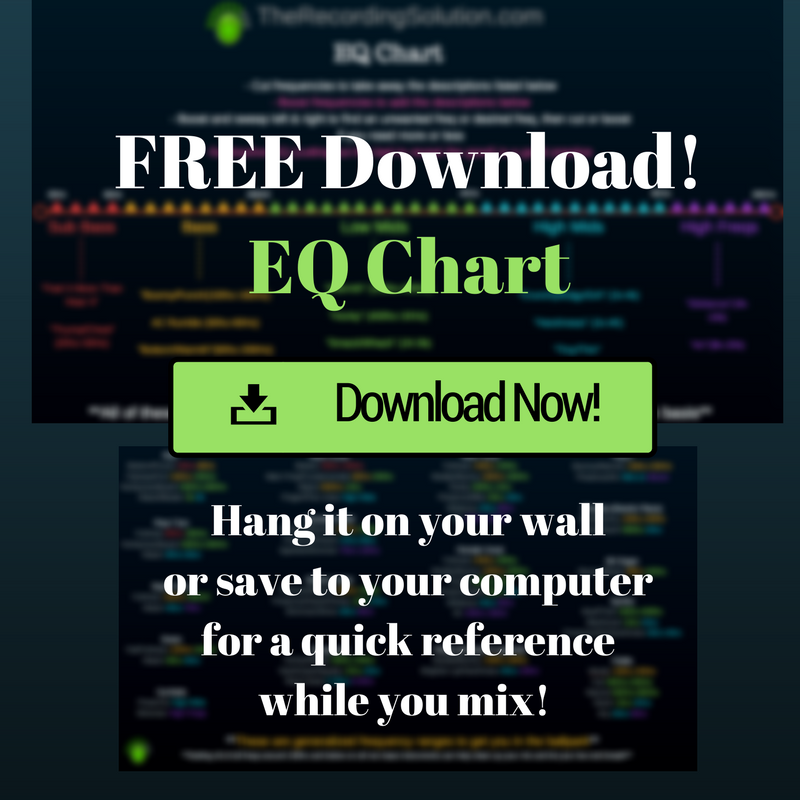 You can learn how to record and mix as well. I would agree that it's valuable to learn how to deal with artist's and customers of a recording studio in person, and to see how to run a session and all the unique problems that could possible arise, but again you can be taught valuable lessons from a video on these topics as well. I'm not trying to discourage you from attending an audio engineering school, I just want to let you know that there are other options. If you can afford it, and you've researched which school you want to attend then go for it! Some people just don't have the option to attend a college or program far away from their home and way out of reach financially. Here are some audio engineering schools with links to their websites where you can get more information. I will go deep on a few and then just link to some schools I've head of. There most likely will be some I did not mention, which does not mean they are not good schools. "The Recording Principles course introduces students to the theory and operation of essential audio tools ranging from microphones to mixers. Primary topics include audio basics, signal flow, basic microphone techniques, gain staging, audio processors, and basic file and session management." "The Audio Workstations course explores the digital audio workstation environment through an overview of digital audio concepts and practices. Students will receive instruction and practical experience with powerful computer-based recording systems typically found in the modern recording and show production industry." "The Audio Engineering Techniques course focuses on professional audio recording, mixing, and editing. Students will develop workflows and strategies for producing the highest-quality results in their music-production projects." "The Session Recording course walks students through the theory, philosophy, and practice of contemporary music production in a world-class studio facility. The course introduces the theory and operation of large-format audio consoles. Emphasis is placed on the means to conduct a music session and work with a band in a studio setting. Studio signal flow, recording techniques, and synchronization will also be studied. Students will utilize modern audio-recording technology to gain expertise in the art and science of music production." "The Vocal Production course specifically addresses the production of vocal tracks and voice-overs for various media and musical applications. The creative component of this course explores techniques and strategies for capturing the best vocal performance from an artist. The course also examines preproduction with vocalists, establishing producer/vocalist rapport, conducting a vocal session, vocal compilation and background vocals, microphone selection, and signal processing and mixing for vocals and voice-overs." "The Audio Postproduction course provides students with an overview of production sound and audio postproduction sound design for film and television. Subjects include the history of the audio postproduction process, the recording of production sound, timecode and synchronization, the film-audio postproduction process, and the television-audio postproduction process." You can download a catalog HERE to get more info on this degree. I have NO experience with FullSail, and do not know anyone who has attended. 1st glance looking at the cost makes my eyes widen in shock. I've learned pretty much all of this on my own. It seems like it's a good school and can help people gain the skills and further their career, but I would do EXTENSIVE research and find some reviews from people who have attended. I have seen some good and bad reviews in the quick google search I just performed. I have a cynical view when it comes to colleges in general. This is my opinion and you can take it how you want, but I feel like they start young people off in a mountain of debt. Even when you graduate you are not guaranteed a job anywhere. I'm sure Fullsail has helped a lot of people with job placements and successful careers though. Again, do your research. Find multiple people who have attended and see what they have to say about it. "This Audio Associate of Science Degree program is an intensive practical and theoretical course of study that provides students with the knowledge and skills to shape audio design and creation. Students attending this program learn both the technical and creative components of audio design and the business principles of the entertainment industry. This is a hands-on, project-based program culminating in a major capstone project that draws upon the range of knowledge and skills learned throughout the program, and can be completed in as few as 16 months." Skills they have listed that you will learn. Here is a Link to their "Key Facts" about this program. "The Audio Bachelor's of Applied Science is an intensive practical and theoretical course of study that provides students with the knowledge and skills to shape audio design and creation. Students attending this program learn both the technical and creative components of audio design and business principles of the entertainment industry. This is a hands-on, project-based program culminating in a major capstone project that draws upon the range of knowledge and skills learned throughout the program, and the program can be completed in as few as 32 months." This skills you will learn are the same as the Associates listed above. A few other programs they offer are below and I'll link them to their website pages for more information. "John McBride, owner of the internationally renowned Nashville-based Blackbird Studio and Institutional Director of The Blackbird Academy, has spent his entire life in the pursuit of quality, professional sound. Getting his start in live sound by launching MD Systems Sound in his hometown of Wichita, he came to Nashville in late 1990. He sold the company to Clair Brothers Audio in 1997 and fulfilled a lifelong dream by opening Blackbird Studio in 2002 and hosting sessions from the likes of Tim McGraw, Kid Rock, and Grammy-winning projects by Jack White and Kings of Leon. An avowed champion of analog recording, he has amassed one of the greatest collections of vintage and modern recording equipment on the planet, including a microphone collection without equal. In 2013, he opened The Blackbird Academy, dedicated to advancing the quality of recording education through a hands-on, professional training curriculum. John was recognized at the 2014 Pensado Awards where he won for Live Sound / FOH engineer and Educator. He is married to country superstar Martina McBride, his partner in life and business; they have three children." "The Blackbird Academy’s classes are taught over 24 weeks, hands-on, in studios you’ve heard on countless records. Classes meet five days a week, 30 – 40 hours per week. Alternating about every two weeks half of the program is spent in the studio, where groups of five students focus on pre-production, recording live musicians, overdubbing, and mixing. The other half of the program takes place in our classroom/learning lab, also a working recording studio featuring an API console, two isolation booths, and 22 individual Pro Tools stations. Each student has their own workstation, including a Universal Audio Apollo interface featuring an extensive collection of plugins. Students have access to audio labs and equipment outside of regular hours, to work on assignments and practice recording and mixing. We also benefit by learning directly from a host of working industry professionals in the classroom on field trips to other studios, mastering houses, venues, equipment factories and other audio-related sites." "The Blackbird Academy’s Live Sound Engineering Program is based on the same model as our studio engineering program: practicing real-life scenarios a live sound professional would come across every day. Our program has been developed in collaboration with Clair Global, the premier live sound company. Because of this relationship, students will learn on gear that touring professionals use every day, from the massive Clair warehouses in Nashville, TN. Clair Global professionals are part of the teaching staff, guiding students through the skills it takes to work in this challenging and growing industry.​"
I believe financial assistance is available if you qualify. If you were to tell me to pick one I'd be more biased and lean towards going to Blackbird Academy because I personally know someone who went and loved it. Bobby Bowlin is a good friend of mine and actually plays fiddle in my band sometimes. He graduated from there and from what he's told me you get to learn from literally the best in the biz. A lot of my favorite bands have recorded there with a lot of my favorite engineers. Also, Dave Pensado of Pensado's place endorses them, so there is that. If you haven't checked out Pensado's place do so... and you're welcome. If you are hell bent on attending one of the above mentioned audio engineering schools, you an afford it, and you have done your research on them, then do it! I'm sure you will learn a lot and have great experiences along the way. Search "college name" and reviews to see what real people have said about these programs. Try and track down a professional engineer who may have attended one of these programs and get their 2 cents. 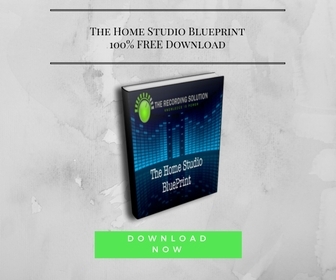 If you're not ready to go full throttle and commit to one of these audio engineering schools, but you'd like some resources on how to get started learning about audio recording and mixing, then you can download my FREE ebook "The Home Studio Blueprint" below. It will walk you through all the gear and tools you would need to get started. It's FREE!